Don’t you hate getting an unsolicited email (spam)? Whenever someone you don’t know calls you, mails you, or emails you something, they are trying to sell you something, so remember that. Phone solicitors today have gotten pretty slick with recorded messages to sound like there is a real person asking you questions, or official-looking mail you receive that attempts to appear important enough that you better respond (or else), and email messages that try to get you to take action regarding something of interest to you. Many job seekers may believe they are applying to a job site application, but may, instead, give their information to an entity (especially an unfamiliar one) that will sell and resell their email addresses and other information to an unscrupulous source. That would explain the emails so many job seekers receive from people they don’t recognize (also known as phishing that has happened to many Facebook users). It is also a good reason to review the privacy policies of any source that allows you to easily give your information, and, it is why you should never ever provide your social security number to an online source. There are countless scams prevalent on the internet today. Companies like Facebook have been accused of mishandling secure data. 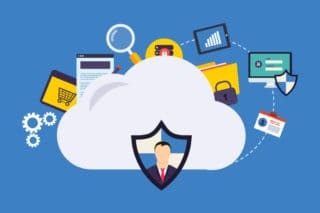 So not only is it crucial that you protect the data you acquire in your online business, you also need to keep your data secure on a regular basis and update your security software periodically. Ensuring that your customers understand what you intend to do with their data and that the customer data is secure will give you and your customers more peace of mind. You might have an email sign up for a newsletter, application, or install cookies on the visitor’s computer to track activity. Disclose how data is being collected. You should also make it easy for customers to limit the use of their data to a single use thereby restricting the data to a one-time purchase. Explain how you share customer information with third parties such as to process orders. If you sell customer information to marketers, explain what information is sold and how it could be used. Again, make it easy for the customer to control the use of their data, whether it’s changing a password on their account or taking their name off of a mailing list. Include a direct phone number or email address that customers can use to manage their information with you. Explain how you protect customer data including website encryption, limiting employee access to sensitive customer data, and data storage best practices. For a business, it is usually a statement that declares its policy on how it collects, stores, and releases the personal information it collects. It informs the client what specific information is collected, and whether it is kept confidential, shared with partners, or sold to other companies or businesses. Privacy policies, in general, represent a broader treatment, rather than data use statements, which tend to be more detailed and specific. Most countries have their own legislation and guidelines of who is covered, what information can be collected, and what it can be used for. If you plan to do business globally, keep in mind that data protection laws in Europe cover the private sector as well as the public sector. Their privacy laws apply not only to government operations but also to private enterprises and commercial transactions. GDPR (General Data Protection Regulation) is a privacy regulation intended to provide better protection for the personal information of European Union (EU) residents. If you hold the personal data of even one EU resident, you need to comply with the GDPR. It also applies to anyone from the EU who joined your list in the past and who is still on your list. The consequences for not being compliant can include fines of up to €20 million for serious offenses, and 2% of annual global sales for offenses like not having your records in order or not notifying the authorities of a breach. NOTE: It’s no longer okay to simply include a pre-checked box in your form—the kind that requires the person to uncheck it in order not to be sent emails. Instead, your subscribers will need to consciously, clearly, and intentionally request to join your list and receive emails from you. If your offer is irresistible enough, this should not be a problem, so you don’t have to trick people into receiving your emails. While you shouldn’t get too stressed out about the impending changes, realize that today, everything counts! It is worth the effort to protect the privacy of your customers and by doing so, elevate your good standing with the business community. Keep it simple. Don’t ask for more information than you need. Make it easy for your subscribers to change or delete their information with an “Unsubscribe” and “Edit Your Preferences” link or button. Never email people who have unsubscribed from your list. Use a double opt-in process when collecting emails which, means that after entering their email, they also need to click a confirmation link in an email to confirm they want to receive your emails. Keep records of people’s consent. If you occasionally collect emails at live events, conferences or tradeshows, make sure you keep the original records where people ask to be added to your email list. Good records will help you in other ways, such as evaluating what works better or not at all, as the case may be, to show where your marketing efforts are most effective and at what time of the year, along with the stage of buying that the customer is in, among other things. Use an SSL certificate. Make sure your website is updated to HTTPS. 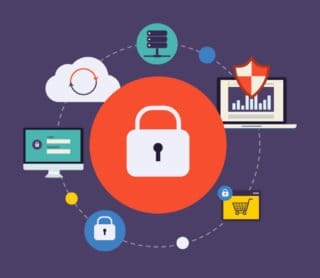 A secure website (https://www.yoursite.com versus http://www.yoursite.com) is critical in terms of SEO (search engine optimization) and in light of the GDPR, it’s a must-have for data security. Update your email list and remove contacts that weren’t collected appropriately. Contact them if you aren’t sure in order to get their approval to send them emails. Take a look at the articles How to Create an About Us Page for Your Business Website, How to Create a Contact Us Page for Your Business Website, and How to Create a Services Page for Your Business Website for more tips about creating content for your website. For help designing your website call 602-633-4758 or contact Golden Oak Web Design. PreviousPrevious post:How to Add an ID Attribute to Contact Form 7 Checkbox ElementsNextNext post:WordPress vs Website Builders: What’s the Difference?